Tian Niu and Susan Shaw Yam Yam worked together on the Lunar New Year film A LIFETIME TREASURE (YU JU YU BO). 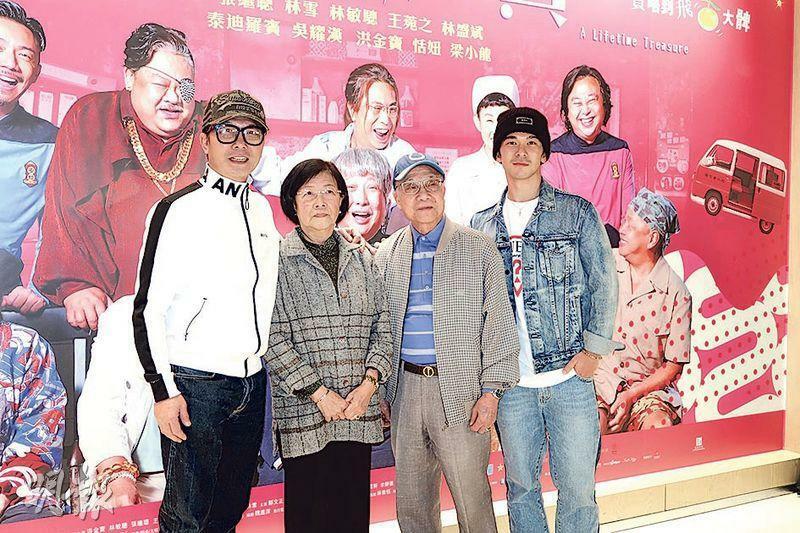 Two nights ago they along with the director and the boss went to the movie for audience appreciation; friend Chin Siu Ho brought his parents and son Andrew Pong Kingfung. Tian Niu's daughter Chu Yu Fung was her manager. The mother and daughter relationship was rather good. During photos they often had cohesion. 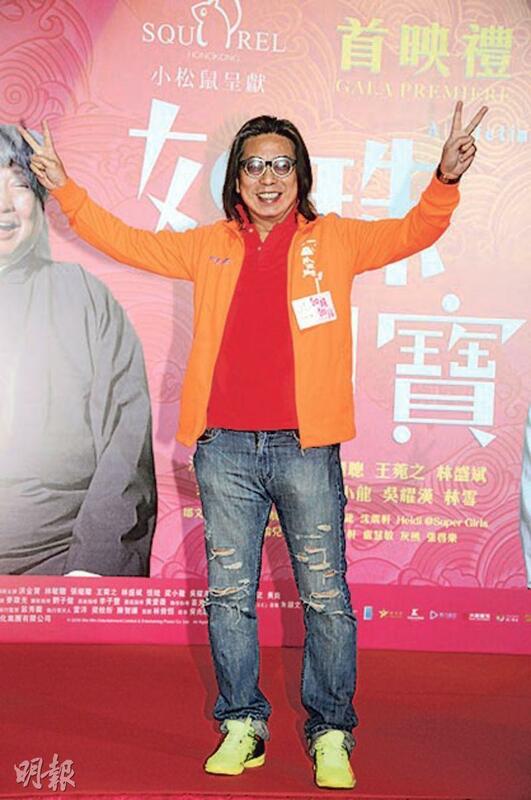 Tian Niu took a few days to promote the film in Hong Kong for a few days. Yesterday she rushed back to Beijing for a series. She said, "After coming back to Hong Kong I attended the premiere, audience appreciation, media interviews. The production didn't feel tough, the promotion is much worse! My era didn't have audience appreciation, but now we would interact with the audience. I was happy to hear the live reaction, it's like experiencing the applause directly at concerts." 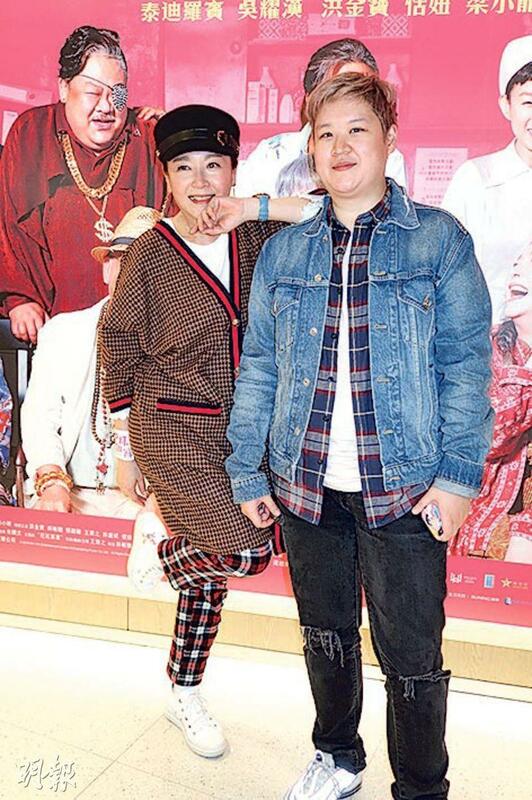 She wanted to make more Hong Kong film but did not dare to challenge the self proclaimed "Hong Kong audience appreciation queen" Shaw Yam Yam, who attended 400 shows in a year. Tian Niu said that she already felt tired from 10 shows a day. Tian Niu would take 15 days off from the Lunar New Year's Day on and planned to spend the holiday with his mother and daughter as well as resting up properly. In recent years she mostly worked on Mainland films and series. At age 61 she stated that she had no plan to retire. Luckily many viewers still remembered and loved her. She said that she wanted to make Hong Kong films and series, but she joked that her Cantonese did not improve at all over the years. For example in her new film she had a line "dance an old dance" that sounded like foul language. She suspected that director Andrew Lam Man Chung deliberately played a trick on her.